The Ultimate Truth can be found in the Teaching of the Buddhism. Buddhism recognizes two kinds of Truth. The apparent conventional truth and the real or ultimate Truth. The ultimate Truth can be realized only through meditation, and not theorizing or speculating. approach applied to questions concerning the ultimate nature of existence. This timeless Teaching was discovered by the Buddha Himself without the help of any divine agency. This same teaching is strong enough to face any challenge without changing the basic principles of the doctrine. Any religion that is forced to change or adjust its original Teachings to suit the modern world, is a religion that has no firm foundation and no ultimate truth in it. Buddhism can maintain the Truth of the original Teaching of the Master even under the difficult conditions prevailing in the modern world. 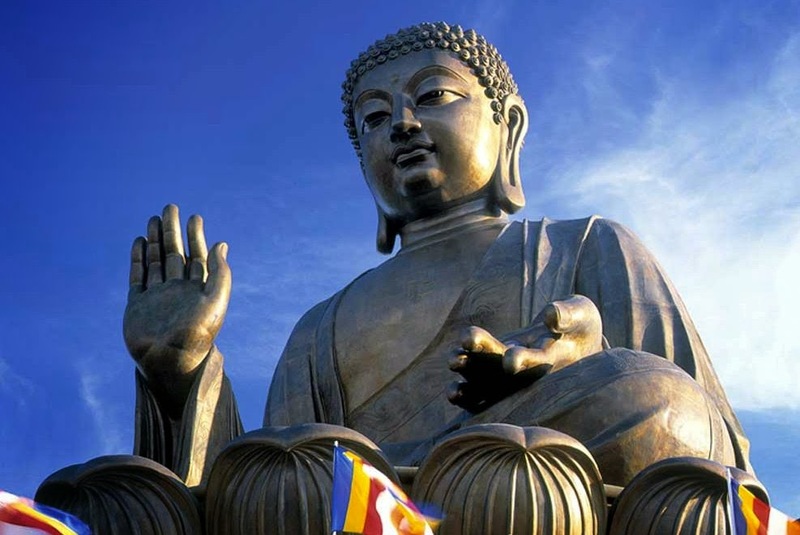 The Buddha did not introduce certain personal or worldly practices which have no connection with morality or religious observances. To the Buddha, such practices have no religious value. We must make the distinction between what the Buddha taught and what people preach and practise in the name of Buddhism. Every religion consists of not only the teachings of the founder of that religion but also the rites and ceremonies which have grown up around the basic core of the teachings. These rituals and ceremonies have their origins in the cultural practices of the people who accepted the religion. Usually the founders of the great religions do not lay down precise rules about the rituals to be observed. But religious leaders who come after them formalize the religion and set up exacting codes of behavior which the followers are not allowed to deviated from. Even the religion which we call ‘Buddhism’ is very different in its external practices from what the Buddha and His early followers carried out. Centuries of cultural and environmental influence have made Burmese, Thai, Chinese, Tibetan, Sri Lankan and Japanese Buddhism different. But these practices are not in conflict, because the Buddha taught that while the Truth remains absolute, the physical manifestation of this truth can differ according to the way of life of those who profess it. A few hundred years after His passing away, the disciples of the Buddha organized a religion around the Teachings of the Master. While organizing the religion, they incorporated, among other concepts and beliefs, various types of miracles, mysticism, fortune-telling, charms, talismans, mantras, prayers and many rites and rituals that were not found in the original Teaching. When these extraneous religious beliefs and practices were introduced, many people neglected to develop the most important practices found in the original Teaching; self-discipline, self-restraint, cultivation of morality and spiritual development. Instead of practicing the original Teaching, they gave more of their attention and effort to self-protection from evil spirits and sought after prosperity or good luck. Gradually, people began to lose interest in the original Teachings and became more interested in discovering ways and means of getting rid of the so-called misfortunes or bad influences of stars, black magic, and sickness. In this manner, through time the religious practices and beliefs degenerated, being confined to worldly pursuits. Even today, many people believe that they can get rid of their difficulties through the influence of external powers. People still cling to this belief: hence they neglect to cultivate the strength of their will-power, intelligence, understanding and other related human qualities. In other words, people started to abuse their human intelligence by following those beliefs and practices in the name of Buddhism. They also polluted the purity of the Buddha’s message. Thus the modern religion we see in many countries is the product of normal human beings living in a country and adjusting to various social and cultural environments. However, Buddhism as a religion did not begin as a superworldly system that came down from heaven. Rather it was born and evolved through a long historical process. In its process of evolution, many people slowly moved away from the original Teachings of the founder and started different new schools or sects. All the other existing religions also face the same situation. One should not come to a hasty conclusion either by judging the validity of a religion or by condemning the religion simply by observing what people perform through their blind faith in the name of that religion. To understand the real nature of a religion one must study and investigate the original Teachings of the founder of that religion. In the face of the profusion of ideas and practices which were later developments, it is useful for us to return to the positive and timeless Dhamma taught by the Buddha. Whatever people believe and practise in the name of Buddhism the basic Teachings of the Buddha still exist in the original Buddhist texts.